A question that we thought of on Sunday was "how did people in the civil rights movement keep their movement non-violent?" We were disturbed by the Ku klux klan robe and members actions that we discovered in the civil rights institute. We don't have a picture because it's too creepy. We learned about rabbit tobacco which is good for asthma and taught the southerners about rhubarb which is good for pie. 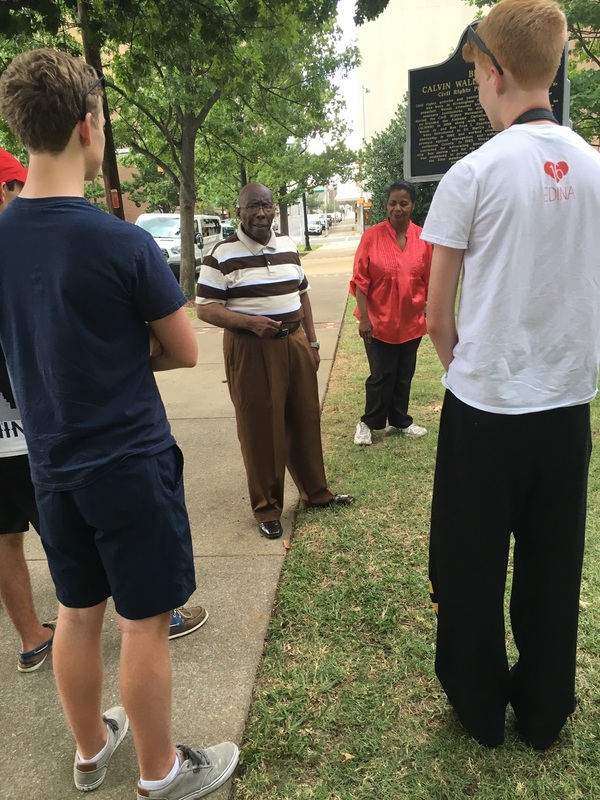 We experienced God in the 16th street baptist church when the reverend preached about the black lives matter movement. At the 16th street baptist church we felt very welcomed by everyone, even the people who mark and Leslie hadn't set up to meet with us. 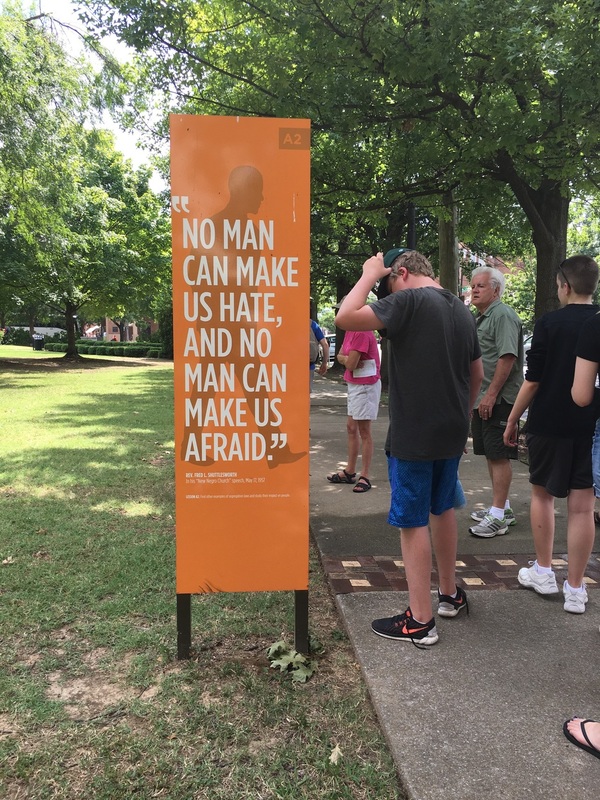 We started our day by driving to Philadelphia, Mississippi where we saw a memorial at Mount Zion Church to the three men killed in freedom summer; Chaney, Goodman and Schwerner. The men (two white and one black) were in Mississippi to register blacks to vote. For lunch, we went to a classic southern diner where we drank our weight in sweet tea and enjoyed some authentic corn, rice and gravy, fried chicken and corn bread. After eating we listened to the story of Jewel Rush McDonald. She was just a young girl in the 60's and remembers Goodman, Chaney and Schwerner knocking her door to register her mother to vote the day that they were murdered. Her mother and brother were brutally beaten the day that Mount Zion Church was attacked. 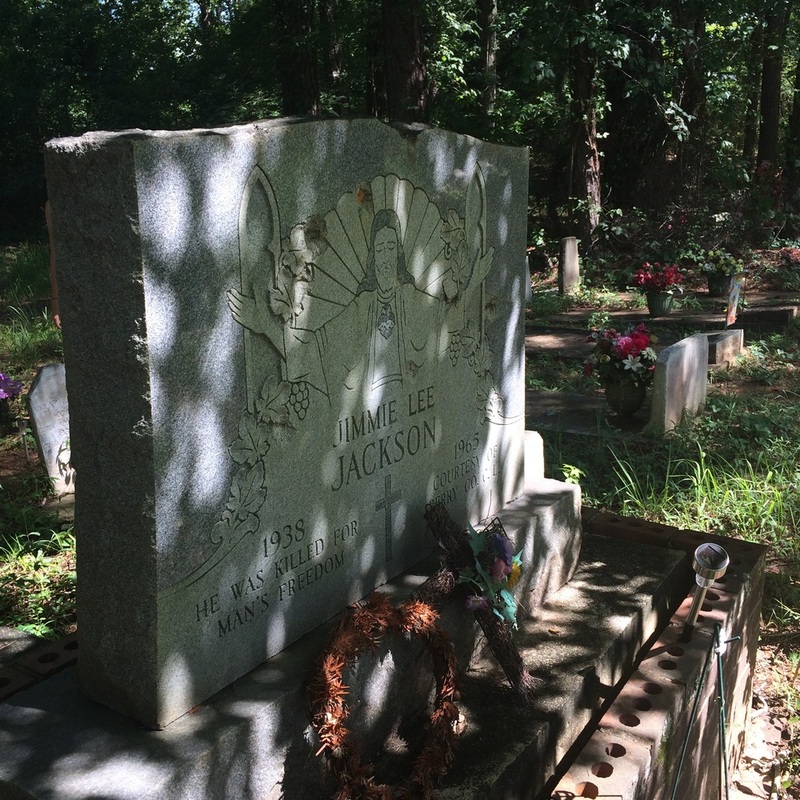 On Wednesday we visited the gravesite of Jimmy Lee Jackson, an African American man murdered while trying to protect his family members. 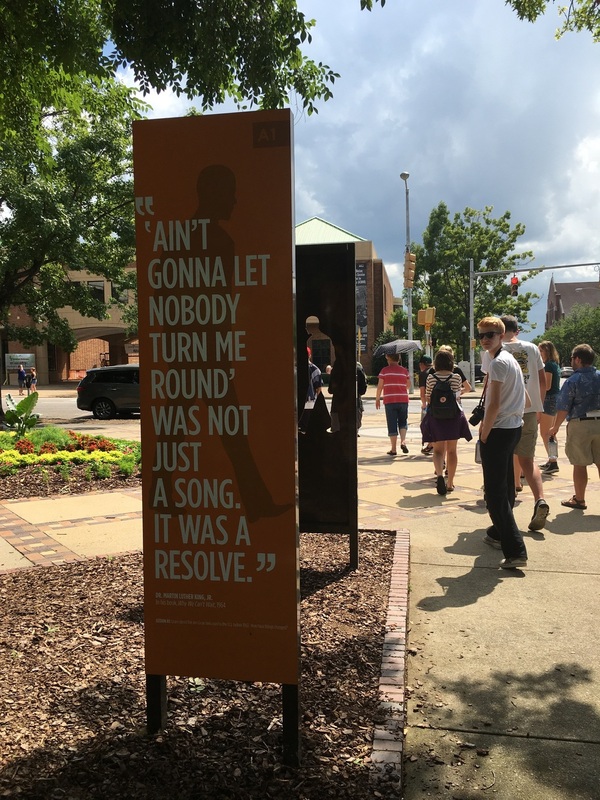 His death, which received no consequences, spurred nationwide outrage and motivated peaceful protesters to organize the march across the Edmund Pettus Bridge, later labeled the American Civil Rights Movement's "Bloody Sunday"
Today we walked across the Edmund Pettis bridge. It was on this bridge where the senseless beating of marchers of the movement occurred in 1965. This became known as Bloody Sunday. After listening to stories of marchers, or "footsoldiers," who were involved in this event, walking over the same bridge that they did inspired us. We feel that if they could march on with the courage and determination that they did, despite the unimaginable consequences, then we can continue and hopefully finish the march today.